The OCC has given prominence to the events of the Diocese of Sourozh, in Britain, during May 2006, and will continue observing them during the following months because of its importance for the future of the existence of the One, Holy, Catholic and Apostolic Church in the United Kingdom. Moreover, they will affect its existence also not only in the U.K. but the future in Western Europe, and, I dare to say, in the world. Some of you, dear readers, may think I exaggerate and may smile at my words, if not dismiss them altogether. However, if you surf this website you are granting me respect and kindness, for this I am grateful to you and write sincerely and candidly for what it is worth. Indeed we did so during 2003, when lay Orthodox Christian people of the Greek Orthodox Archdiocese of North America raised their voices complaining about the manner of abrogation of the Charter of 1977 and the imposition, without the approval by the Clergy-Laity Congress of the Archdiocese, of a new Charter designed by the Ecumenical Patriarchate. The end of this particular saga in the Courts of the United States, which judged that the matter put to their judgement was considered alien to the authority of their civil American Courts. In 2003 there was at stake not the Charter of 1977 in America but the desire to unite all the canonical jurisdictions of the Orthodoxy into one autocephalous Orthodox Church of the North American Continent. However, only the Antiochan Archdiocese achieved that, on October 9, 2003, the Holy Synod of the Patriarchate of Antioch declared with finality its autonomy. This means: the right to self governance, the right to nominate (by clergy and laity), to elect and to consecrate the diocesan bishops of the church, but only, the right to require the mother church to elect its primate from three candidates nominated by the autonomous church. “In Western Europe we have among the Orthodox Christians some of the numerous divisions of America, though in smaller scale. However, this last factor may be to our advantage in healing the disease. On the other hand, the late suggestions of the Moscow Patriarchate, appeasing the last threat, to set up an autonomous Metropolia of its own, with no regard for the rest of the present jurisdictions and administrations, will put the Orthodoxy, that is, The One Holy Catholic and Apostolic Church, into total confusion and disadvantage for Her proclamation of the Gospel of Christ. ”We should not forget the experience of recent times with the Moscow Patriarchate. Yes, it gives autonomy or, even autocephaly, but it reserves to itself, or creates new parishes, etc., as independent from the local hierarchy and only depending from the Patriarchate, therefore creating an extra jurisdiction and through it another juridical layer. Moscow's "hubris," as the third Rome, is well known! Some of the protagonists in the events of the Diocese of Sourozh raise their voices and hearts with the aim to save “the vision of the late Metropolitan Anthony” (Bloom) founding the Diocese of Sourozh that at present, with the invasion of visitors and immigration from Russia into the United Kingdom, appear to be ignored, trampled upon and destroyed. They put their hopes on the, so-called, Diocesan Statutes of the Diocese of Sourozh. Indeed, what are these Statutes? It is said that they are inspired by the Moscow Sobor (Council) of 1917-1918 and that came to exist by a decision of a conference, or getting together, of people associated for a purpose in the United Kingdom. That is how a legal association for a legal purpose came to be recognized by the Law of the Land for the pursuit of that legal purpose, what ever may be its reasons or objectives, characteristics, external or physical or internal or spiritual, religious or profane ends. The point is to be recognized as legal by the Law of the United Kingdom. Consequently, if they are accepted or not accepted by the Legal set ups in other countries, churches or associations in other system of laws, or by-laws, this does not matter for the recognition of them as a legal document in the U.K. That is the reason why in the United Kingdom it did not matter at all, if the Patriarch of Moscow liked or disliked them, to be a legal force for all the activities of the members associated for the purpose described in them. Moreover, it is not the Patriarch who gives authority to them but the Statutes that grant authority to the Patriarch. Therefore, the Statutes should be entitled to withdraw that authority to the Patriarch, if he does not pursue the purpose of that association or respects its Statutes. Here we are not dealing with a historical canon of the Church but with the application of United Kingdom Law. Therefore, I hope that in the present affair it may have a different solution than in the American situation and may be more profitable towards the line of a local Orthodoxy in the United Kingdom. In particular towards the salvation of the property acquired with the effort of its faithful by the Diocese of Sourozh. « Le projet d'une métropole d'Europe occidentale ne consiste pas qu’à rassembler des hommes et des femmes sous l’obédience de Moscou. Les versions antérieures de cette sorte de “Monopoly” ne considéraient pas les lieux de culte comme une source importante de revenu. En ces temps difficiles, qui peut ignorer les splendides cathédrales et églises de l'émigration russe ? Mais elles sont, pour la plupart, la propriété de juridictions qui ne relèvent pas de Moscou, soit de l'archevêché, dont le siège est à Paris, soit de l'Eglise russe hors-frontières, dont le siège pour l’Europe occidentale est à Genève. Et la liste de ce patrimoine est longue. So, let us return to the vision of the late Metropolitan Anthony (Bloom) of Sourozh, that is, the Diocese of Sourozh, as subtitled by him, Patriarchal Russian Church. 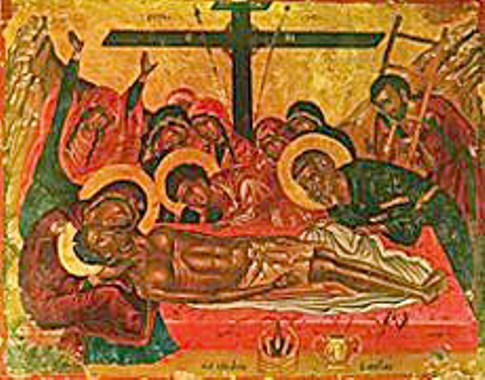 When in 2004 this Web Site, ORTHODOX CHRISTIAN COMMENT, offered a homage to the magazine ORTHODOX OUTLOOK, it did so reproducing the long and very well documented article about His Eminence Metropolitan Anthony of Sourozh Memory Eternal. Our homage to the magazine was marking the anniversary of its demise with its issue 105, September/October 2003. In a editorial presentation of both demises, we wrote that the magazine had been that "totally English Orthodox magazine" and that the Metropolitan "for many people in Britain he was the Russian Orthodox Church. Without us realizing we had stated the existence of two truthful facts . And we also noted as "strange" that the Orthodox hierarch during the years of existence of the magazine "had not shown much appreciation during his life" for the magazine. This point revealed to us a very strong aspect of the Metropolitan character, in fact, indicated by Andrew Walker in his obituary (9 August 2003) in THE INDEPENDENT: "He liked to be in control." The ORTHODOX OUTLOOK was founded, edited and published by Orthodox priests, converted to Holy Orthodoxy from the Anglican Church, but, who did not allow the Metropolitan to influence their conversion and, even less, enter under his omophorion. And, of course, ORTHODOX OUTLOOK in the eyes of the Metropolitan must had appeared as a competitor to his own magazine SOUROZH. Indeed, a mystery of life, both, the Metropolitan and ORTHODOX OUTLOOK were to demise in the same year and this began the decay of Sourozh. The majority of the Russian Emigration used to attend the Russian Church Outside Russia in Emperor's Gate and had very little to do, apart from renting the church building, with the Church of England or any other Church in the British Isles: they were anti-ecumenists. Fr. Anthony and his followers were not only friends of the Church of England but began to accept into their London Orthodox parish of Ennismore Gardens a flow of converts to Orthodoxy. With this new building and the growth of a native communicant population, Fr. 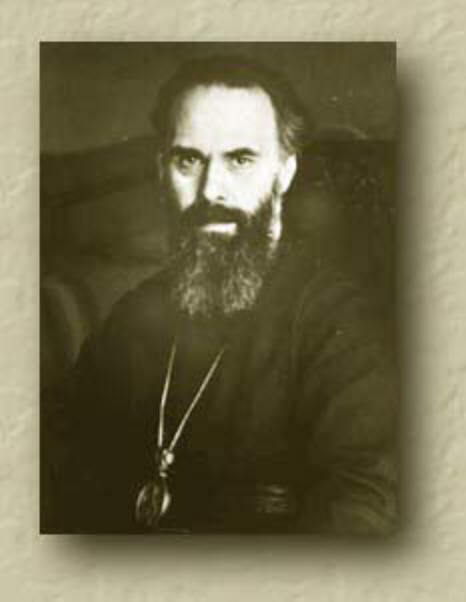 Anthony's approach to Moscow was much appreciated by a Patriarchate shunned by the World Council of Churches. And the Patriarchate, most probably encouraged by Soviet Diplomacy, saw the possibilities of using such an enterprising young man to its international advantage . "André Borisovich Bloom, born Lausanne, Switzerland 19 June 1914; clothed a monk 1943, taking the name Anthony; ordained priest 1948; Priest, Russian Orthodox Church in Paris 1948; Chaplain to Fellowship of St Alban and St Sergius, London 1948‑50; Vicar, Russian Orthodox Parish in London 1950‑2003; appointed hegumen 1953, archimandrite 1956; Bishop of Sergievo 1957‑62; Archbishop of Sourozh and Head of the Russian Orthodox Patriarchal Church in Great Britain and Ireland 1962‑2003; Metropolitan of Sourozh 1966‑2003; Exarch of the Patriarch of Moscow and All Russia in Western Europe 1963‑74;. died London 4 August 2003." However, the young Fr. Anthony also saw the advantage that would enable him to set up a "diocese" free of any superior constraining authority, certainly, not from the Soviet Patriarchate. He took the bishop's career in 1957 and rose up to the title of Metropolitan in 1966 -the highest-ranking bishop in the Russian tradition outside the office of Patriarch. In the United Kingdom he managed to eclipse totally the Russian Orthodox Church Outside Russia. In Britain, for most people, he was the Russian Orthodox Church. “Fathers and Brethren! It is seldom that God grants a bishop to be consecrated, as in my case, amid his own flock. May it be allowed me to address my spiritual children too in this hour, which is important for them as for me. During the years of my pastoral service among you God has granted us to become a close and loving family. Episcopal grace is the pledge of an even deeper more sincere unity, for fatherhood. Let us love one another even more truly and vitally and effectually. Let us become one with Christ in and through love, and with His love which nothing could break let us come to love the world let us come to love that world for which He gave His life. Let us love every man He loves him and us (Phil. 1:8). Let us enter life as Christ’s disciples with new hope and renewed strength. Let us bring to the cold, orphaned world our flaming, invincible joy, so that every soul may rejoice, all fear may be dispelled, hatred extinguished and darkness, that with one heart and one mind we may all, all without exception, raise the triumphal song to God. Those are the thoughts and feelings I stand before Your Holiness today; I remember the Lord’s warning that ‘by thy words shalt thou be justified and by thy words shalt thou be condemned’ (Mat. 12:37), but I believe that through your prayers, your love and support the Lord will fulfil in me too the good that He has inspired (Phil. 2:13), will forgive me my ignorance and that that is lacking in my words, will unite all of us and be our only Shepherd and Head of the Church. Amen." I have made this long quotation because there are some important points to make. They are about the mentality in which they were pronounced. The principal one is about the importance given by its author to the people gathered around him in that church. On that November 1957, there was under his authority that church of Ennismore Gardens. That was his parish and also that was all his diocese. This writer's wish that the bishops, I have met over my life, would have been inspired from on-high with the sentiments, the thoughts and the words which the late Bishop, “Fr. Anthony”, was in the hours of his consecration for entering the Apostolic circles! How different, then, would be, to what is, the usual running of the Church of God! Bishop Anthony appears to our eyes gigantic... But, was he, after all, always so? In the history of England we may notice that business men, politicians and ecclesiastics, if they are astute enough, get away with anything. History also show, sadly, the sequel of pain and suffering.